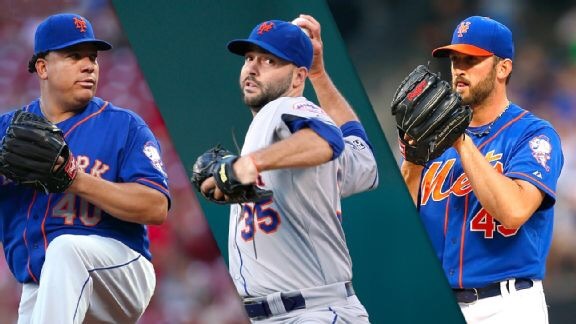 According to Jon Heyman of CBSSports.com, the Mets are likely to trade a veteran starter (Gee,Colon or Niese) very soon. Here’s what I make of this: Soon means soon. And I bet something will happen before the last day of the meetings on Thursday. Of course, only time will tell, but my hunch is that it’ll happen this week, and that it’ll be Colon or Niese. I believe this because the Mets have seen multiple problems with Niese over the years, when it comes to his injuries and confrontations with Collins. I’m not saying that Niese is wrong, in fact, I like Jon speaking his mind, but I’m positive Sandy and Terry don’t. I also wouldn’t be surprised to see Colon get dealt, now that the Mets have announced that they will eat some of Colon’s 9 million. Opening Day 2019 is Here! My Trip to Spring Training… 2019 (Part 1)!